Up until you read this, you may have thought that you understood President Trump’s position on Dreamers and citizenship pathways for illegal aliens. 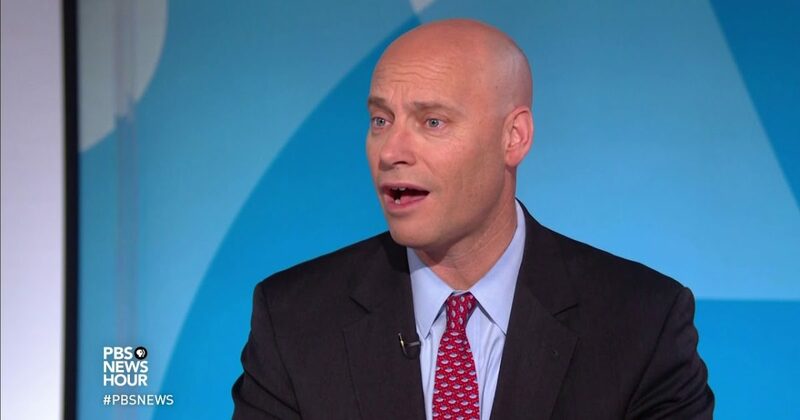 That was until Marc Short, President Trump’s director of legislative affairs appeared on PBS’ Newshour. The representations of Mr. Short throws a huge monkey wrench in understanding where the President actually stands. Is this staff member of Trump be trusted to be speaking with authority? This needs further questions. On PBS NewsHour yesterday, Marc Short, President Trump’s director of legislative affairs, said President Trump is interested not merely in giving work permits to so-called “DREAMers,” but also giving them full citizenship – even “kids” as old as 36 years old. And Trump doesn’t want to stop there; he wants to give citizenship to millions more beyond the DREAMers. The president is willing to have a conversation about citizenship[.] … Where we’ve moved is that Democrats have said is that the 690,000 people who have those DACA permits ages 16-36, that has been the discussion so far. The Democrats have asked us to expand that, to put others in there, and including some closer to the number of the full DREAM Act. We’ve said we’re willing to do that, so we think there’s a lot of significant progress on our side. The “DREAM Act” is a piece of legislation that could give amnesty to 2 million illegal aliens. That would go way beyond what Obama did with DACA. To be fair, Trump insists that in return for this mass legalization, he wants a border wall and an end to chain migration and the diversity lottery (but he has not mentioned E-verify or an overall reduction in legal immigration…..